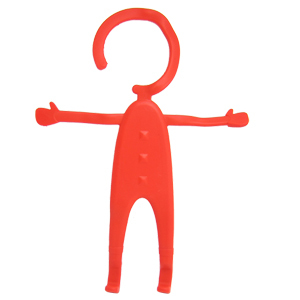 This flexible phone hanger is really a handy little holder. It's the cutest and coolest gadget your have ever seen that can securely your phone safely . 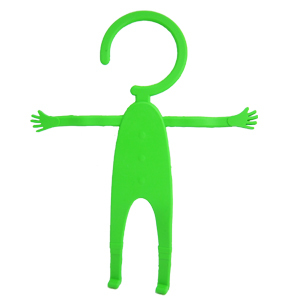 Made of high durable silicone and metal flexible and transformable, nicely shaped with a hook for a head, it has two arms with hands and two jutting legs with upturned feet. Fits for cellphones with screen up to 5.5 inch such as iPhone 6S plus, Samsung Galaxy etc. The silicone bendable phone stand features : multicolors available , an unique design that allows you to bend it at the angle you want. We love making our customer's lives easier by combining many practical products into one amazing product to personalize and give out . Customized printing and colors is welcomed at minimum quantity 1000 units.